Leaving for Liberia with some Amazing People! This year “again”, we have some very talented and gifted people coming to Liberia with our team. It always amazes me who God calls to come on these very adventuresome trips. Take a look at who is coming and the projects we will be involved in this time. C. Teacher Training for Children’s Ministry for our 4 Children’s Homes. E. Bringing in Physician Travel Packages loaded with Primary Care Medical Products from Health Partners International of Canada in collaboration with Healthy Women Healthy Liberia. 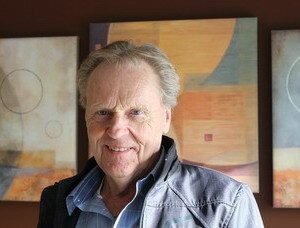 Dale Bolton is the founder of Organics 4 Orphans. He is coming to Liberia to visit some of our farming sites and to see how Provision of Hope and other NGO’s in Liberia can best partner with them to start a Agrinutritional Training School. Provision of Hope sent two of our students out to Kenya to take the Organic Agrinutritional Training School put on by Organics 4 Orphans. Kevin Taweh and Joseph Sackie are both back in Liberia ready to get started in this field. 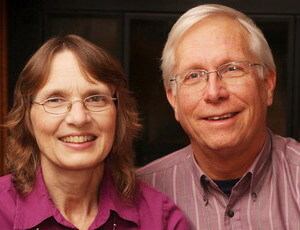 Carl and Kathy Thompson are Kelowna, BC residents who have a background in Missions.They have been involved in “Youth with a Mission” as teachers and trainers for the past 30 yrs. They were just in Kenya teaching and will leave for Liberia on Thursday January 16th. This will be their first trip to Liberia. They both work in organic farming as well and come prepared to share their resources with our people in Liberia. Carl says ” Our desire is to learn. We want to know from the people of Liberia, what their desires and their felt needs are, then by God’s grace and wisdom, give them tools to meet those needs through the resources that they already have at their disposal but may not recognize. As we learn from God together, they will find their source in Him and move forward with what He has provided.” They are coming in with servant hearts! 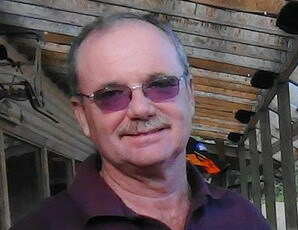 Ron Ryde is a skilled Heavy Duty Mechanic with years of experience in designing and building of machinery with engineering firms. He specializes in Bore Hole Well Drilling and Equipment Maintenance. Ron travels to various nations as a trainer in this field. Ron is coming to Liberia with a Clay Brick Making Machine in order to train a group of our people how to construct these top grade bricks. These are durable, long lasting bricks that are produced locally with a natural resource and semi skilled labour. This machine is easily maintained and very efficient in production. Ron and his wife Beth live just south of Penticton, BC and are always reaching out to others in their community. Wesley Harmon is a Liberian pastor who lives in Surrey, BC. 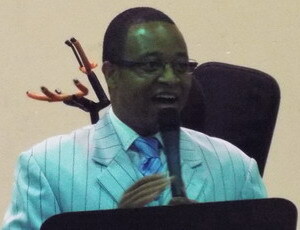 He is a pastor at the Peoples Full Gospel Church. He has not been back to Liberia since fleeing from the country in 1999. He lived in the Buduburam Refugee Camp for 5 yrs before coming to Canada. Wesley is the one who connected us with Health Partners International of Canada to bring Physician Travel Packages in to Liberia. These particular packages will go to “Healthy Women Healthy Liberia”, where Dr. Christiana Hena will receive the medical supplies for the remote villages she visits outside of her clinic in Kakata. Wesley is so thrilled to be going home to do “Random Acts of Kindness” among his own people. Morris Gbolo is a native of Liberia. Morris has a degree in Agriculture and operates his own farm as well as being a Chaplain at the Atlantic City Rescue Mission where he ministers to homeless men. ” I have seen so much destruction within my country and my heart longs to see restoration and rebirth. My heart’s desire is to see those families who have lost caregivers in the civil war be given a permanent home to live in and rebuild their lives.” From the Buduburam Refugee Camp in Ghana, Morris followed his wife to the US in 2002. 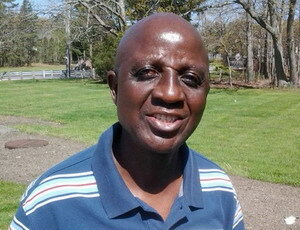 Click here to read Liberian Immigrant finds American dream in farming. 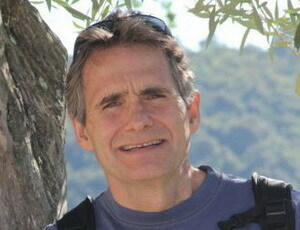 Ray Lyons is a founding member of Family Hope International. He is a Chaplain at the Atlantic City Rescue Mission where he ministers to homeless men. Chaplain Ray has a heart of passion to introduce everyone he meets to Jesus! One night while hearing Morris Gbolo share his heart and vision about Liberia, Ray knew God was calling him to help too. This is what started Family Hope International Liberia where Ray is the Team Leader. Gena Conley is the spokes person for Family Hope International. It was this past July 2013 that Gena first made contact with Karen Barkman at Provision of Hope, sharing of their desire to partner with an existing organization in Liberia in order to come and start mission projects with those left destitute because of the war. Gena is married to Jeff Conley a pastor, and father to the 7 children they share together. Gena has a degree in English/Education and home schools their children with the help of her mother. 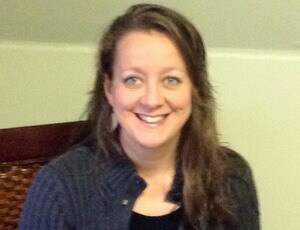 Gena is coming prepared to work with our Hope Home Parents both as a Teacher and Experienced Child Educator. Karen Barkman has been going to Liberia since the end of the last civil war in 2003. 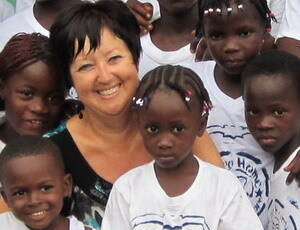 Every year she takes teams into Liberia on missions reaching out to orphans, widows and refugees, with the love of God. ”What an incredible privilege to walk alongside those who generously give of their time to come with me! It is the work of many individuals that has made Provision of Hope what it is today!! !” Thank you one and all!! To Liberia, I have to say, you have made me a better person!! To God be the Glory!! « WISHING YOU A BLESSED NEW YEAR	» IT’S A BOY!!!!!!!!!!!!!!!!!!!!!!!!!!! This is an awesome trip and I just want you to know I support it with prayer, finances and a quick word of encouagement: The hope, joy and real success comes from abandoning your agenda and giving it to Jesus. Jonah comes to mind when he went on a mission trip. God shows us the journey but has the personal added objective to work on Jonah’s heart. Blessings for you all to see God’s heart in your trip. God speed. God is doing good things! Bless you! GOD surely does provide HIS SKILLED people at the right time. It was amazing to read the diversity of talents that these ones will bring with them. (Is.40:31) They that WAIT upon the LORD shall find their STRENGTH renewed. They shall mount up with wings as EAGLES. They shall run and NOT be WEARY. They shall walk and NOT FAINT! YES, for sure!!! I can’t believe it was only 10 yrs ago that we first went off to Liberia together!! God has done so much in one decade! It feels like I have worked in this field for a lifetime. Lots of toiling and hard work. Many, many hours of burning the midnight oil. Many encounters with God!!! There are MANY DIAMONDS ( people I deeply love) in this nation. I am so very privileged to Walk the Fields of White, with Jesus, and His MIGHTY ANGELS in this land. Thank you for inviting me, Julianna. Good Times!! Bob, thanks for your continual support and encouragement. Love the prayers!! Yes, lets abandon our own agendas. We’d rather not end up in the belly of a whale, rather, in an aircraft for 3 days… Hahaha… Bob it’s time you come again….???? Yes???? I will be sure to purchase some Dewberry just for you…Hahaha. This is an inside joke. Bob was over with us in 2004, and needed some deodorant as we all squished together in the back seat of our small yellow Toyota taxi. I hauled out my famous, dewberry oil. Add that to the mix!! hahahaha!! A scent from heaven! Oh Karen!! I got so excited for you & this amazing team of God’s precious volunteers!! I know incredible things have been happening leading up to & planning this journey & I know God is really going to move mountains in the spirit & in the natural during this experience together. I know that this is a strategic group who God has outfitted with the right skills & spirit to make a change… There is going to be a tremendous shift into high gear with things being propelled at a supernatural pace. God is going to multiply your loaves & fishes & bring about progress in new ways! Networking; in the natural & with Holy Spirit is going to leave you & all your sponsors blown away by our Mighty Lord Jesus’ true Provision of Hope!!! Amen Lord!